Wooden lathe machines are used to shape woodwork. By eliminating unwanted parts from your material, you can achieve added value in your products or create amazing gifts. Are you interested in woodworking or on the lookout for an upgraded industrial wood lathe? You are in the right place. 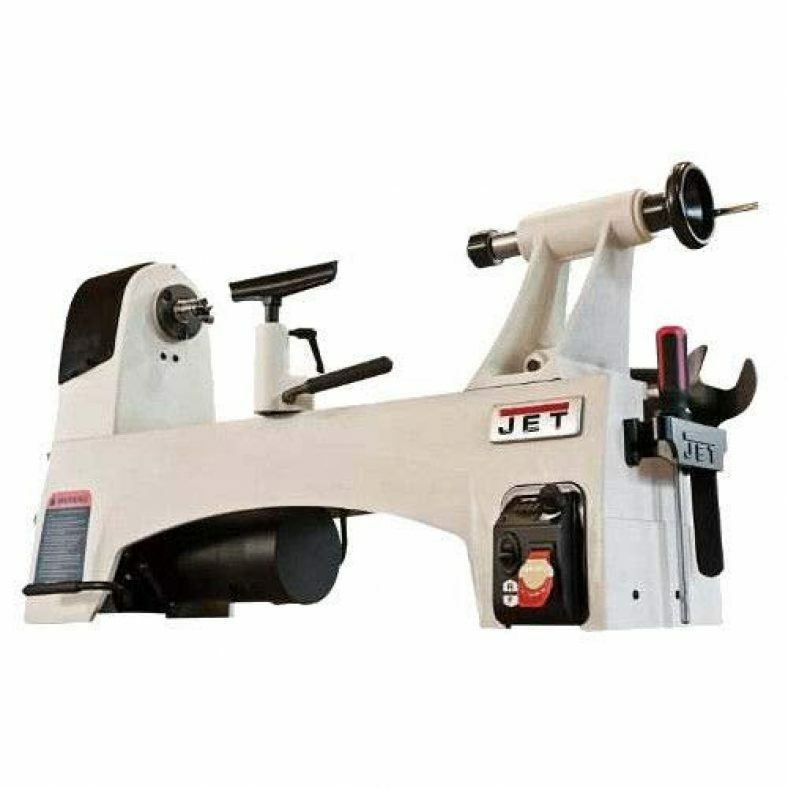 The main objective of this wood lathes review is to inform the knowledge that is needed for buying wood lathe, and not just any model but an absolute best wood lathe of 2019. Read to learn the most important features to consider. We will also discuss the pros and cons of different tools so you can avoid common pitfalls and ignore popular misconceptions. At the end of each product review, we will explain why we recommend the product. 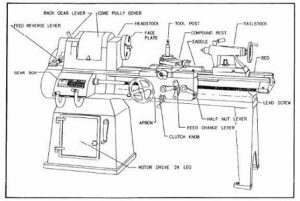 Of course, you can’t wait to shop for the best wood lathe but allow us to take you through significant parameters to consider when making ar purchasing decision. The number of wood lathes for turning bowls is overwhelming and so are the questions concerning them. The technical specifications are the first hints for the answers. Here we go. 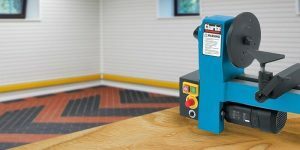 The power and size of the motor are important points to consider depending on the type of woodwork you want to create. For complex projects, choose more powerful machines which will be highlighted in our wood turning lathes reviews. Heavy items and high-speed jobs require more power. It is important to get a good combination of motor size and speed range to get sufficient overall power capacity. Greater power brings higher endurance hence higher efficiency. Woodturning requires various speed levels at intervals. The best lathes offer adjustable speed controls as well as high RPM rates. You need to determine the ideal speed for your particular project to get a good wood lathe. For instance, table legs should rotate quickly for outstanding results while the best lathes for bowl turning need to have slower rotations. With an adjustable speed lathe, you have nothing to worry about. The size of the motor determines the outcomes of shaping or cutting wood. Too small in size may cause unnecessary damage to your work. A small lathe needs at least a 1/3 HP, motor especially if you need to turn bowls. Bigger sizes are always better because they give varying speed levels. Suppose you need a small machine for little projects at home. A model like Delta mini lathe or any bench top design would be a feasible option. Such designs are meant for smaller projects that need high accuracy. But for bigger projects, consider floor-mounted and heavy-duty models. 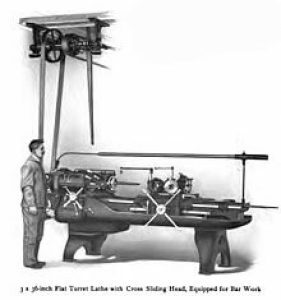 We have such machines in our lathe reviews. 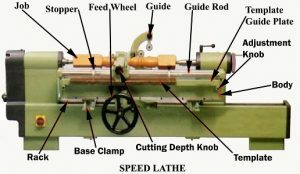 The speed of the lathe greatly impacts the stability and sturdiness of your machine. Quality wood lathes are made of rugged materials like cast iron and are set securely which prevents common mistakes that occur due to sudden shifting. With a sturdy wood lathe, you can easily handle uneven blanks or interrupted cuts. Heavy wood lathes do not need extra pressure to minimize vibrations or unwanted noises that occur at higher operating speeds. On the other side, a light model is not usually secure because sudden shifts can even hurt the operator or slow down the woodturning process. Generally, heavier machines are the best. Vibration is the worst enemy of woodturning. It prevents you from controlling the machine and compromises the end product. As explained above, the best way to overcome vibrations is by choosing heavy professional wood lathes. Also, go for proven brands with sturdy designs. The best bowl lathe remains silent regardless of the speed level. A quiet operation eliminates distractions so you can better control the device and judge how the work is conducted depending on the sounds produced. This is the maximum swing and the length between centers. A bigger distance between centers enables you to turn longer pieces while a bigger swing capacity accommodates large-diameter wood blanks and flawless operation. So, the capacity dictates the maximum size of wood pieces you can turn. 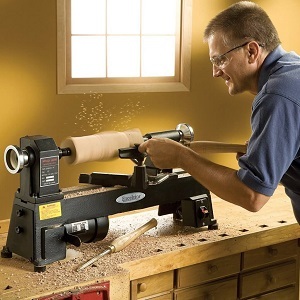 You need a wood lathe that can handle any task and is simple to use. It is a good idea to experiment with different machines before selecting the most comfortable option. Whatever you choose, ensure the power switch can be accessed without being concealed by large pieces of wood. Some machines work best with certain material. Most importantly, consider the average thickness of the wood you want to turn. This will determine the swing over bed/tool rest bases. Also, consider the maximum length of your wood and whether you need an extension or not. Have you ever wondered how a wooden bowl or baseball bat are created? These products are made using speed lathes. Like the name suggests, this wood lathe has a high-speed spindle that operates in 3 or 4 varying speeds between 1000 – 2100 RPM. The speed can be adjusted by changing the drive belt’s position on the pulley system. 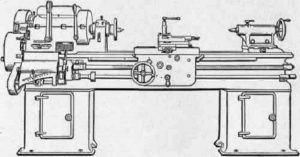 The design of a speed lathe is made to be simpler since such components as the feed rod, carriage, and gearbox make things more convenient for any condition. However, the precision is a bit low since the machine is hand-operated. 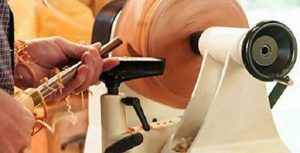 The main jobs for these lathes include polishing, metal spinning, centering, and woodturning. 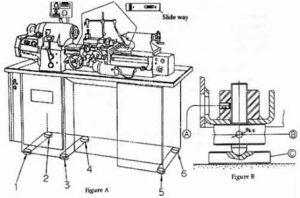 In the past, engine lathes used to be the best lathe machines. They date back to the 19th century where they dominated blacksmith shops. They used to be operated with a steam engine.After a while, the power source shifted to motors which are more eco-friendly. Engine lathes are available in various sizes ranging up to 60ft. Some woodworking projects need high precision. This is where tool room lathes come in. They are more accurate than engine lathes, hence they are regarded as standard commercial lathes. They allow users to carry out various tasks like reaming, knurling, turning, drilling, and boring. They can sometimes be tailored to meet special milling jobs with suitable features. A tool room lathe comes with a gearbox which is connected to the headstock. The headstock offers a wide array of speed ratios which range from low to high speeds, and extended thread pitches. If you are into mass production of wooden products, you might want to consider a turret lathe or a capstan lathe (a more advanced version). Mass production of duplicate products is referred to as interchangeability and it saves both time and resources. A turret lathe is a production tool for large quantities of interchangeable products. It is most appropriate where a workpiece needs a sequence of operations. Unlike engine lathes, capstan lathe machines have hexagonally mounted turrets on the saddles rather than tailstocks where several accessories are fitted. The position of the tool may be changed automatically or manually to reduce the risk of misalignment. The operation of a turret lathe doesn’t require specialized skills. Before you venture into a wood lathe comparison online, you need to understand there are countless wood lathe manufacturers. Keep in mind that the brands provide different lathe sizes – mini, midi, and full. Don’t get overwhelmed with these criteria because we have done thorough research and came up with top rated wood lathes that fit different types of woodwork. 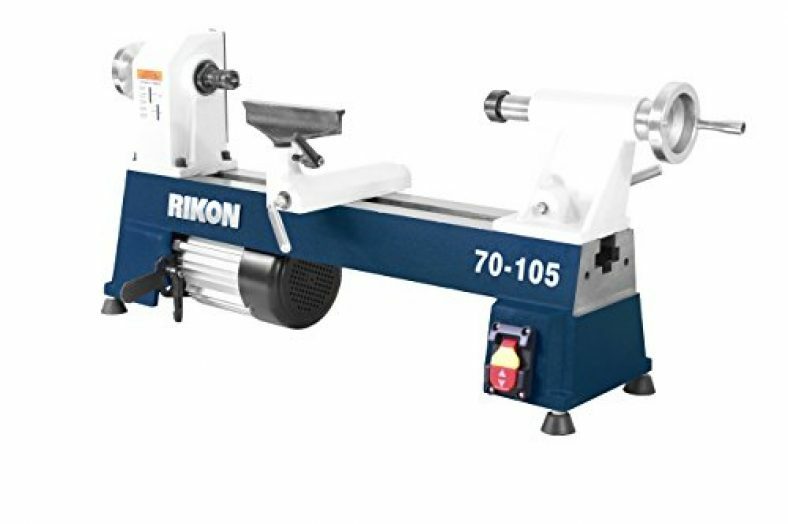 Here is Home N’ Roll’s list of the best wood lathes on Amazon. 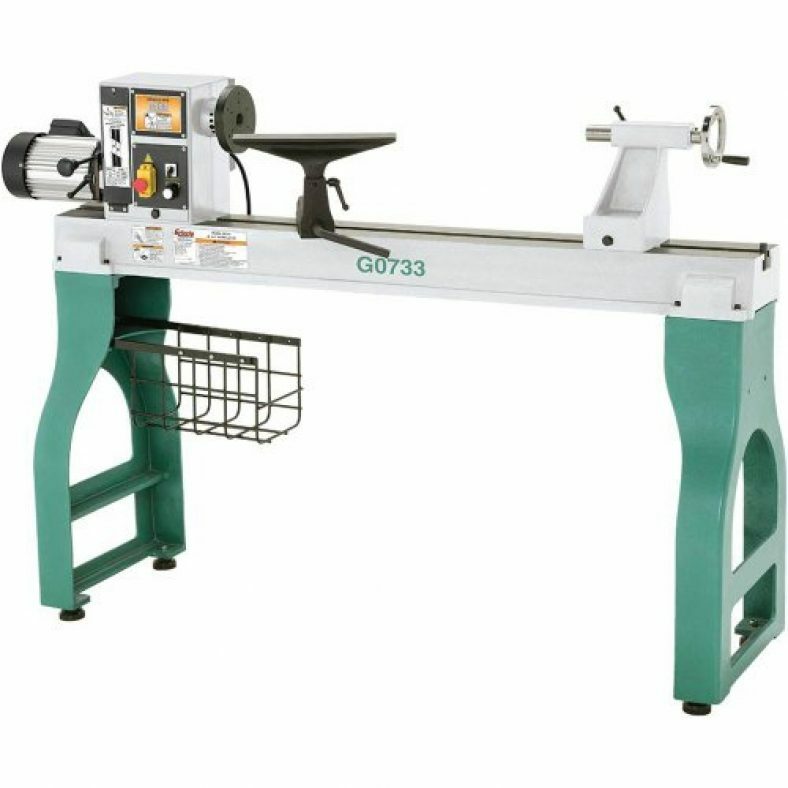 If you need low-cost woodworking solutions, grizzly mini wood lathes are worth checking. Grizzly H8259 is one of the most affordable models yet doesn’t compromise quality. To conclude, Grizzly H8259 wood lathe is an ideal model for anyone who has just started woodturning. However, a seasoned carpenter can still use it as a contingency plan or a portable wood lathe when moving from one job site to the next. Compared to other wood turning lathes in its class, The Delta Industrial midi lathe is the largest. One of the best features yowill find in the best mini wood lathe is continuous speed control where yocan switch between 3 ranges i.e. 1350 – 4000 RPM, 600 – 1800 RPM, and 250 – 750 RPM. Note the highest speed range is suitable for turning bigger wood pieces. Let’s see what else makes Delta Industrial 46-460 the best lathe for woodworking. Many woodturners today are looking for the best lathe machine but their biggest challenge is finding a model to start with. From our findings, we have concluded the Delta Industrial Variable-Speed is the best overall. It is a lightweight model hence portable. Not to mention, it comes with a powerful motor and a bigger swing capacity relative to similar midi lathes in the industry. 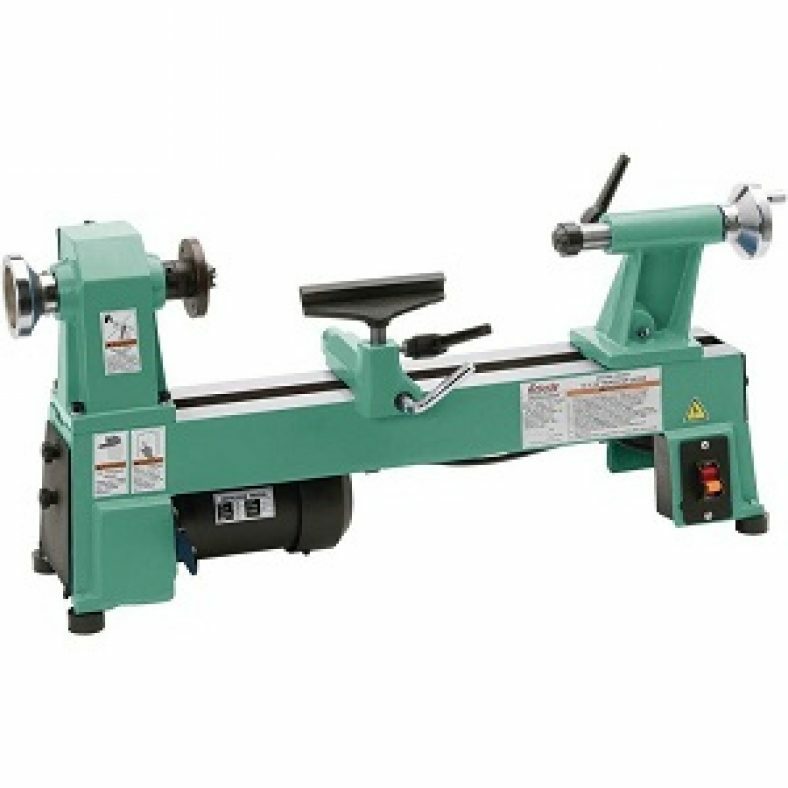 If yowant to attain an outstanding finish and enjoy the portability of a wood lathe, yowon’t go wrong with the Delta Industrial 46-460. With a patented belt tensioning, yocan adjust the belt to the ideal position without a hitch. What more could yoask from a lathe with satisfactory power and high durability? Don’t forget to check the price of Delta mini lathe on Amazon. If yoneed a good bench top wood lathe but aren’t sure what the best option for yois, we have your back as we understand your confusion. 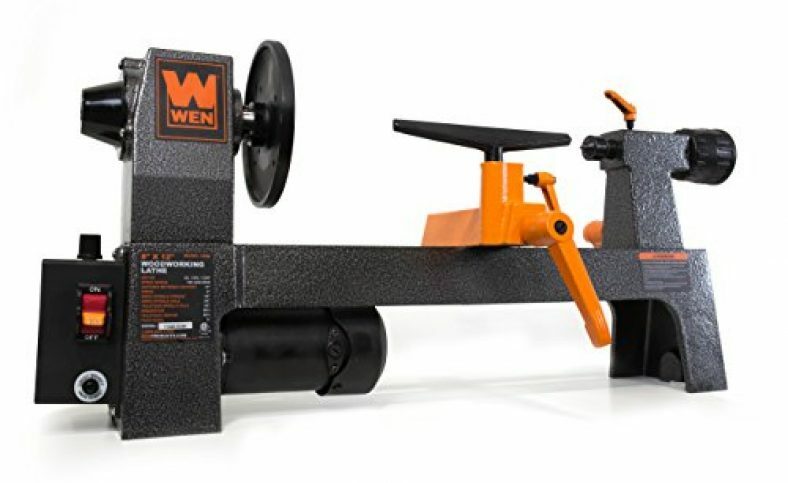 That is why Home N’ Roll couldn’t leave out the WEN 3420 in this year’s lathes reviews. When we tested the WEN 3420 8″ x 12″ Variable Speed lathe, we enjoyed its quality so much we would like to share the features with you. Thanks to the 5 settings provided by WEN 3420, yomay carry out a variety of woodturning tasks. It is thus an excellent tool for professional woodworkers who undertake different tasks. Plus, the rubber feet on the floor is non-slip and minimizes vibrations. Given the cheap price of this wood lathe, we would recommend it to anyone searching for an affordable wood lathe. Here is a mini wood lathe for woodturners who don’t want a full-sized model. However, it carries a lot of weight contrary to what yowould expect from a mini lathe. This is because it is made of cast iron which minimizes vibrations giving yoa comfortable woodturning experience. Also, it doesn’t come cheap, so get ready for a flexible budget if yowant to own the JET JWL-1221VS. Here, you’ll see this heavy duty wood lathe is worth the price. Are yointo expensive top wood lathes but with a simple design? Then, the JET JWL-1221VS Variable Speed lathe should be your ideal choice. But yomay need extensions for workpieces that are beyond 21 inches. 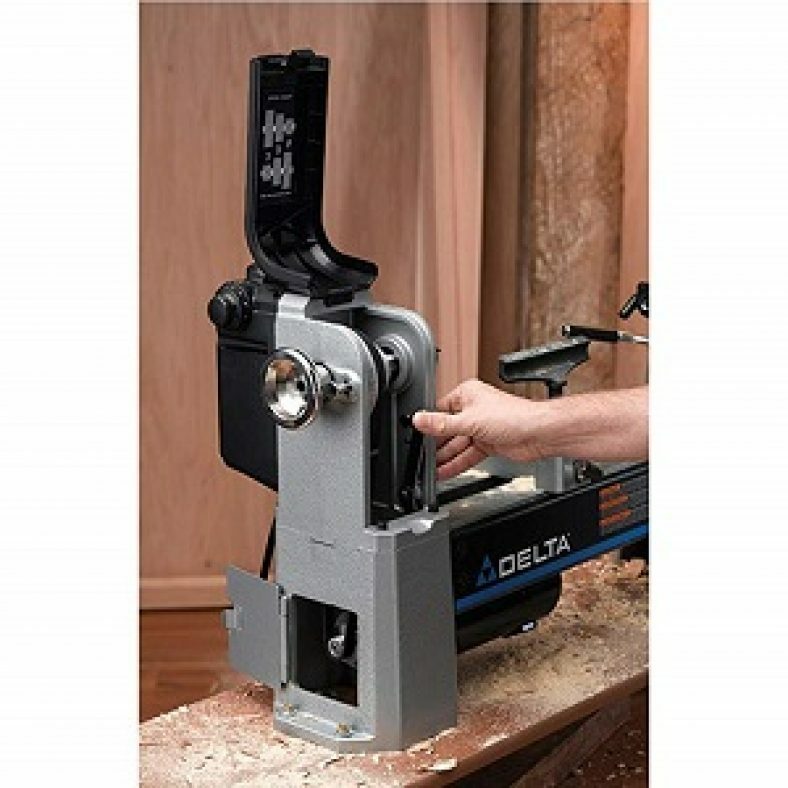 With a speed rate up to 3600RPM, you’ll have more than enough power to perform every woodworking task. Furthermore, a LED display allows yoto check the operating speed. 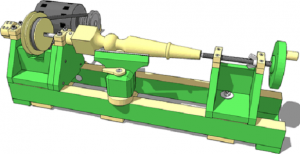 Are yoready to flex your budget for a solid cast-iron wood lathe with a bigger capacity? We recommend yocheck the Grizzly G0733 on Amazon as it might be what yoare searching for. We love the heavy-duty shelves with extra weight that reduces vibration. Check out what other innovative elements come with the package. It is important to note the Grizzly G0733 gives a low torque output at a low speed just like any other lathe with a variable frequency drive. 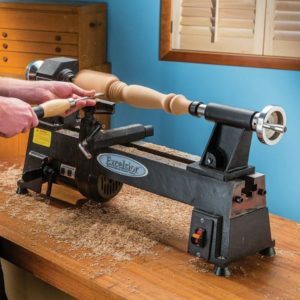 Nonetheless, this is a great wood lathe option for professionals or anyone who needs a precise, and long-lasting wood turning device. Powermatic 3520B is a full-size time-tested lathe with advanced features as yowould expect from its price range. The manufacturer ensures features of previous versions have been maintained and new ones included. 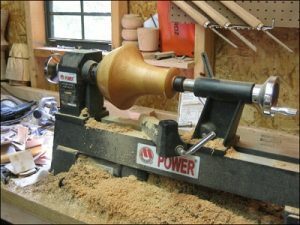 If yohave a sufficient budget to spend on a durable wood lathe, this powerhouse serves yobest. 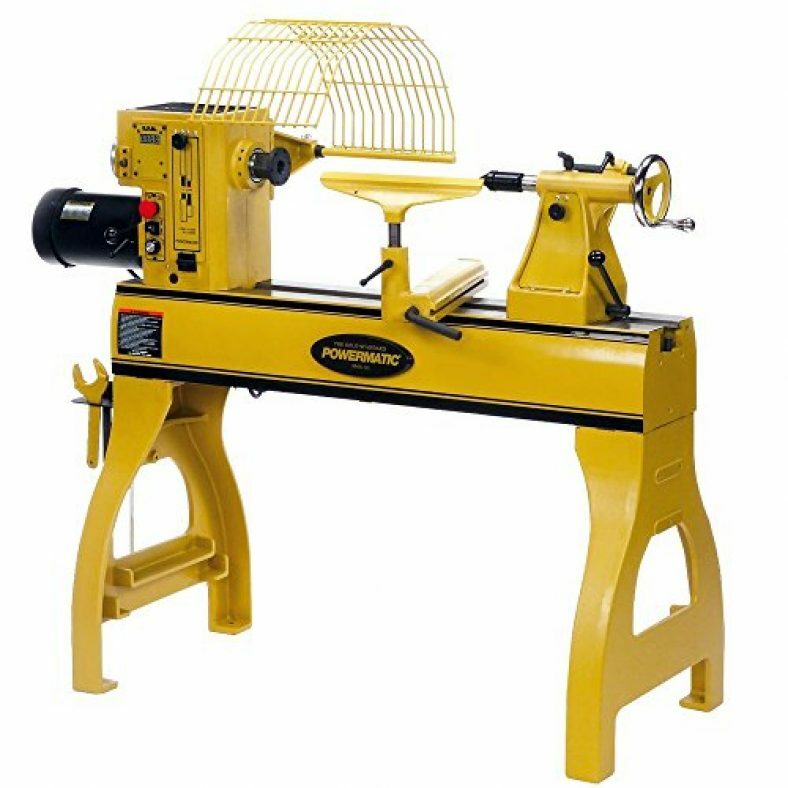 The Powermatic 1352001 Model 3520B Wood Lathe is one of the most expensive models in our review as well as the heaviest on the list. Its features make it the most appropriate wood lathe for professional and commercial woodworking jobs. Given its high price range, we don’t recommend it for home use. 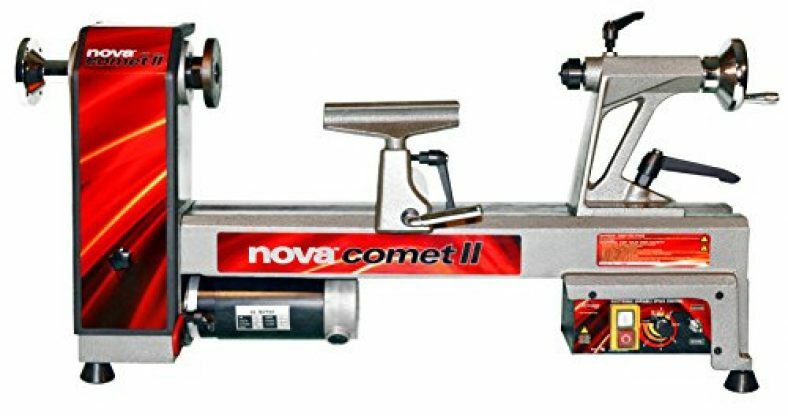 We had to include The NOVA 46300 Comet in our variable speed wood lathe reviews and for good reason. 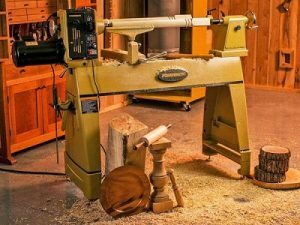 First , it has a powerful motor that gives sufficient power for any DIY woodturning, plus a generous capacity that is sufficient for most projects. Luckily, its bed length is expandable through a kit provided by the manufacturer so yocan turn just about anything. NOVA 46300 Comet II is a wonderful tabletop mini lathe for a variety of projects. Don’t worry about the assembly because it is quite easy. In addition, the variable speed function is straightforward. A toggle switch activates Forward and Reverse while a speed dial is marked with 3-speed ranges. Even though the tailstock lacks a cam lock, the provided clamp has no issues at all. Generally, the lathe makes a good budget buy if yoare in need of a mini model with variable speeds. Here is another affordable option in our woodturning lathe reviews. The RIKON Mini Lathe comes with a machined bed and matching accessories for a precise alignment. It compares to other affordable models on our list and you’ll love its stylish finish. 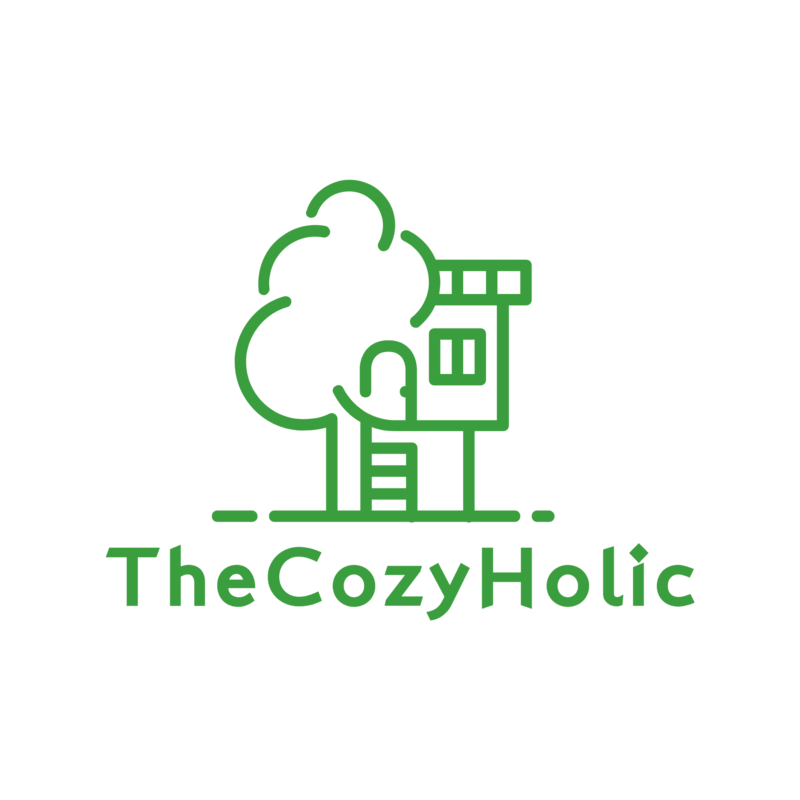 The reason we choose it for beginners is it is both affordable and efficient. No one wants to start with an expensive and complicated woodturning device. With only 75 pounds, yocan easily move this lathe from one point to the next. However, its small size should not confuse yoas it has a sturdy construction. Given that the RIKON Mini Lathe is constructed with cast iron, its price range is quite fair. It doesn’t matter whether yohave used a wood lathe before or not – it is easy to operate and will deliver sufficient power for plenty applications. Also, yocan easily move the tool from one location to the next thanks to its portable design. 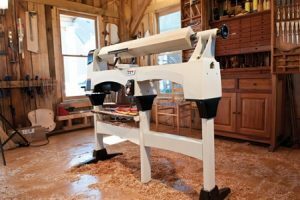 What Is The Best Wood Lathe? We have finally come to the end of our best wood lathe review. After examining the 8 models, it wasn’t hard for us to pick what we consider the best overall product. We have chosen the Delta Industrial 46-460 Midi Lathe machine. The power tool is built to last and designed for bigger projects. With a fair price and impressive features like 3 variable speeds, it goes without saying yoshould go for it. Yocan adjust the speed of its powerful motors depending on your specific project. Moreover, it has a bigger swing capacity which is a great plus in woodturning. For those who are worried about breakdowns and common damages, a 5-year warranty gives a quality guarantee and peace of mind when working in your workshop. This is not to say other models are not great. Note that we only review time-tested products and we believe that every product would make a great buy. All yoneed is to prioritize your needs and choose according to your preferences.